Melvin Finney, 82 of Herrin, passed away 8:20 a.m. Thanksgiving morning, November 22, 2018 at the Herrin Hospital. 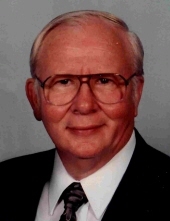 Melvin pastored many small churches through the years and served as the Praise and Worship Leader at various churches. He loved to preach and teach the word. He was also a retired coal miner having last worked at Old Ben # 25 in West Frankfort, IL. He currently attends and is a member of Southern Illinois Worship Center in Herrin. He was a member of the United Mine Workers of America and the International Ministerial Association. Melvin was born September 16, 1936 in Herrin, IL to Elmer and Mary (Story) Finney. Melvin was united in marriage with Linda J. Bandy on February 5, 1955 in Corinth, MS. Surviving are his wife of almost 64 years, Linda Finney of Herrin; daughter, Sherri Moake and her husband, Pete of Johnston City; son, Russell M. Finney and his wife, Carla of Tucson, AZ; former daughter-in-law, Rose Finney of Johnston City; four grandchildren, Alicia Lasswell, Jennifer (Nick) Johnson, Denelle Moake. Mindy Finney; two great granddaughters, Stormi and Summer Simmons; brother, Don Finney of Herrin and several nieces and nephews. Services will be 1:30 p.m. Sunday, November 25, 2018 at Meredith-Waddell Funeral Home in Herrin with Rev. Jason McKinnies and Rev. Don Colson officiating. Visitation will be from 11:30 a.m. until 1:30 p.m. at the funeral home. Interment will be in Herrin City Cemetery in Herrin. To send flowers or a remembrance gift to the family of Melvin Finney, please visit our Tribute Store. "Email Address" would like to share the life celebration of Melvin Finney. Click on the "link" to go to share a favorite memory or leave a condolence message for the family.